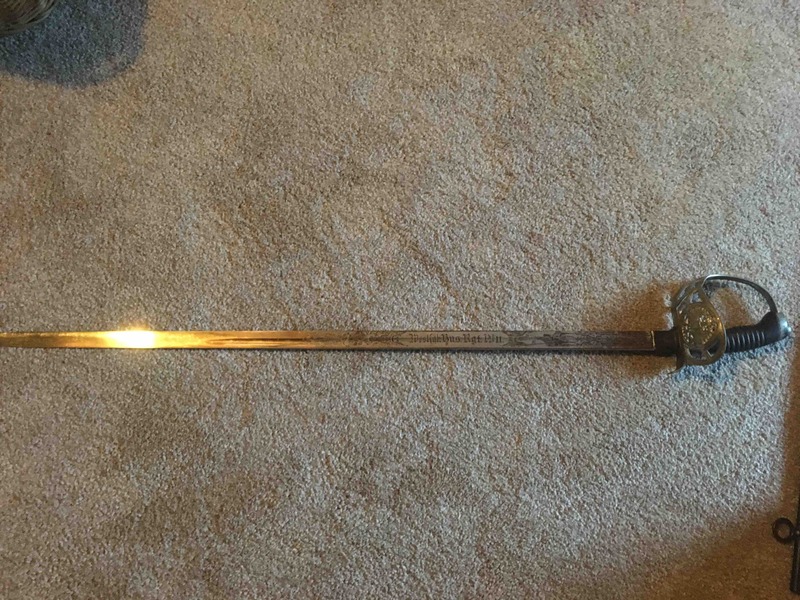 So after helping my grandparents move out of thier house, we found a sword from my great grandfather, a military chaplain from World War One. We'd known his history, had his medals and dispatches, but found a ceremonial German sword of his (he fought in the Canadian forces). 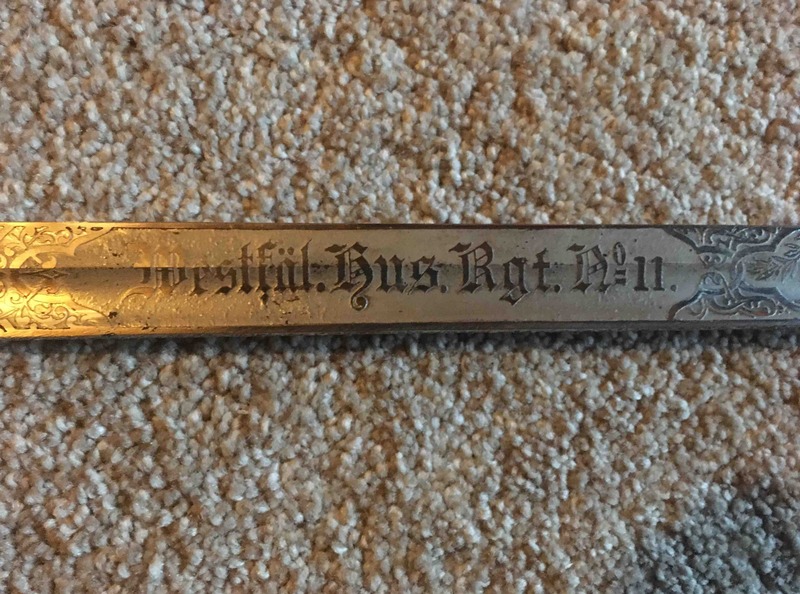 Anyone here have any idea of the significance of this sword or the insignia? Hard to make out what it says on the sword? What does it say? 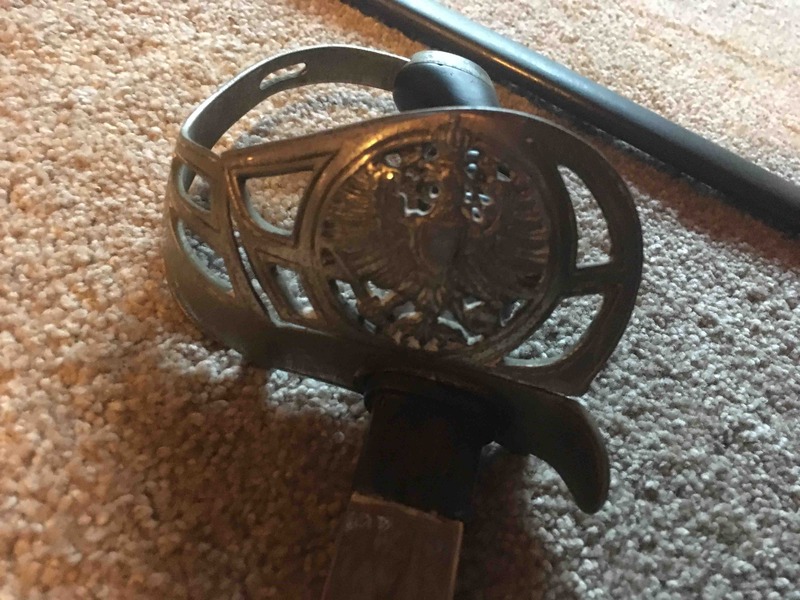 That is very strange as that doesn't look like a typical hussar sword to me. Then again, I don't know a great deal about WW1 equipment.